Steve Jobs famously snubbed the lowly stylus. He was a fingers man. Related: Could Apple's Rumored iWatch Be an iPhone Killer? Some 50 million Samsung Galaxy Note users rock a stylus. We’re just saying. Instead, the first generation “multi-touch” iPhone and its successors would be controlled by what Jobs called “the best pointing device in the world” -- your fingers. But maybe not everyone at Apple was so finger-happy. 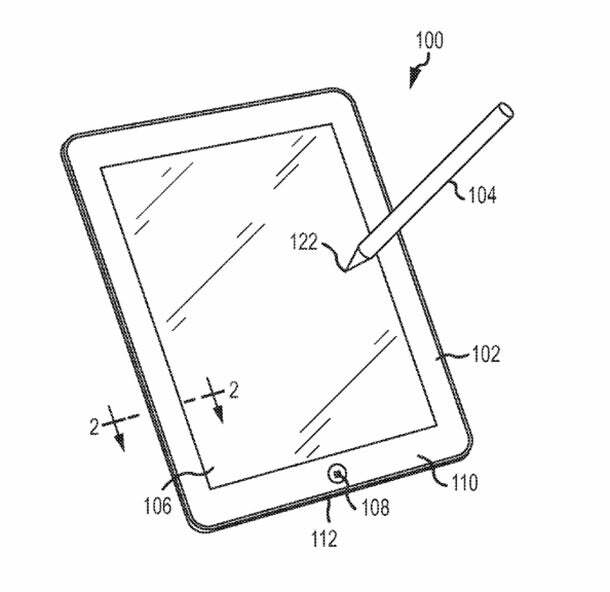 An official Apple patent for what could be an incredibly cool stylus (we know, cool and stylus don’t typically pair well together) recently caught the eye of AppleInsider’s Mikey Campbell. The patent, originally filed back in September 2012 -- notably not quite yesterday -- reimagines the humble stylus as “an input device having an extended nib” equipped with an orientation sensor. Let’s strip away the techie jargon. Basically, Apple’s stylus vision, predictably nicknamed “iPen” by speculators, would allow users to scrawl thicker or thinner lines on device displays, depending on how they angle it, similar to a calligraphy pen. The tip, which on most standard styluses today is a chunky, clunky rubber tip, would be a flexible, extendable touch-sensitive nib that could perform like a pen or a paintbrush, depending on the users’ whim. Apple’s multitasking mini wand concept is also decked out with motion sensors and lights. Fancy. We can think of some Apple loyal VFX artists, graphic designers and other creative types who would love to see a dream iPen like this hit store shelves. They shouldn’t get too excited, though. Remember, each year Apple files for hundreds of patents and not many of them ever result in anything. And this certainly isn’t its first time at the stylus patent races. It could mean nothing. How awesome would it be, though, if a slick new iPen came packed alongside Apple’s iPhone 6 phablet? They (there could be two versions) might hit store shelves as early as May or as late as the fall. Or who knows because Apple release dates are impossible to nail down. We’d stand in line for either one whenever.